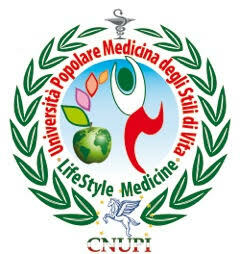 Dr. Valerio Di Nicola M.D. Ph.D, was born in Rome, and graduated in Medicine in 1989. From 1989 until 1997 he worked in Policlinico Umberto I in Rome first as an assistant during his General Surgery Residency and then during his PhD he worked in Microsurgery. In the next years he improved his skills in laparoscopic and Minimally Invasive procedures ( Fellowship of ACOI- Italian Surgeons Association-) and increased his knowledge in Coloproctology with a Fellowship in Oncological Colorectal Minimally Invasive and Open Surgery. Later he achieved a Master in the same field at the University ‘La Sapienza’of Rome. From 2006 to January 2010 he was Head of the General Surgery Department at San Marco Hospital in Latina, Italy. 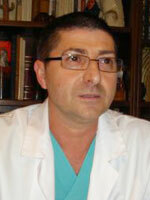 Currently he is a Consultant of the General Surgery Department at the Israelite Hospital of Rome. In the last ten years parallel with his surgical activities he has been working on Regenerative Medicine, after having inherited these medical experiences and clinical research from his father. Many scholars have lead in vitro and experimental studies about placenta, amnios and placental extracts as substances able to promote tissue regeneration. In the last 10 years he has developed in his own private clinic a new approach to stimulate and activate innate joint stem cells forming a favourable microenvironment in the area of articular degeneration apt to promote a tissue regeneration. In his Clinic, he has been studying and treating ultra-octogenarian patients always high surgical risk who have been non-responders to currently adopted conservative therapies. 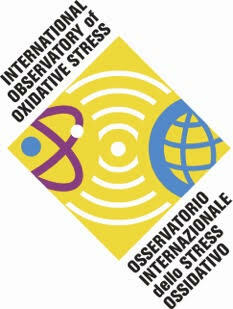 He is author of 44 publications, and his studies in “joint self-repair” have been presented in the fifth Stromboli conference and in process of publication. This study presents a method for treating and structurally improving articulations affected by Degenerative Joint Disease (DJD). The focus of this analysis is on two groups of patients (pts). The first one composed of patients over-eighties and the second group was from 45 to 55 year old pts. The first group had high surgical risk and both had been non-responders to currently adopted conservative therapies. Scholars like Davis , Filatov and Cerletti have been studying and using the regenerative properties of placenta, amnios and other non vital tissues since the early ‘900’s. These pioneering studies have opened a new track for tissue renewal. More recently, the new biological knowledge about extra cellular nucleic acids, growth factors (GF) - ­as by-products of trauma response - and heat shock proteins (Hsp) has helped research even further. Building on those experiences, we have developed a regenerative gel obtained with distressed, processed blood, Polydeoxyribonucleotides (Pdrn) and a thickening substance. The objective was to stimulate the local innate stem-cells with our gel in order to induce tissue repair. From 2003 until 2009 we treated 948 pts. As mentioned, the first group was composed of 86 ultra-octogenarian pts with severe osteoarthritis (OA) of the hip and/or knee, and the second group was composed of 90 young pts (around fifty year old) affected by the same disease. Treated patients have been clinically and radiologically evaluated with a follow-up of 6 to 48 months. Results show a statistically significant improvement in terms of pain and joint mobility, sometimes coupled with a clear radiological improvement. Follow-ups show encouraging data in terms of clinical stability over time. During the study we encountered virtually no side effects, adverse reactions or toxicity.